A live recording of a concert played by one Englishmen and two Lithuanians on a not so standard set of instruments: piano, trombone, drums. This line-up might suggest some aggressive playing, yet the music is very mellow and melodic. 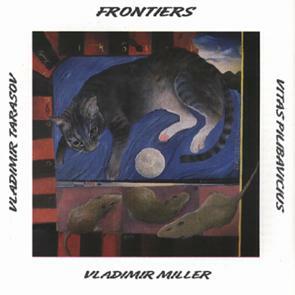 Vladimir Miller, Russian-speaking Brit and the leader of Moscow Composers Orchestra, contributed three pieces out of the total six and wrote very personal liner notes. Vladimir Tarasov is of the Ganelin Trio fame, and the trombone player Vitas Pilibavicius is our new discovery of the year. He also plays a very special instrument called raga. Total time: 59'04.